The Super Bowl is rapidly approaching and it’s time to start planning for your party. The Apartments of Wildewood have prepared some tips to help all of you and your guests enjoy a fun and safe Super Bowl party. Hosting a party at an apartment complex is different from hosting a party at your own home. First, you should contact your landlord and find out how many guests you’re allowed to have, and how late they can stay. You should also make sure all of your party plans are acceptable within the rules of the lease. Next, remember that you share walls with your neighbors, and sometimes ceilings and floors. It’s considered common courtesy to let them know you’re having a party a head of time, so that they know you’ll be having guests and that there might be some noise. You’ve asked your landlord how many guests you’re allowed to have over, now it’s important to limit your guest list to that number of individuals. Limit your list to your close friends that live near by. By limiting it to close friends you keep the party small and intimate, and reduce the needless noise of people talking loudly or yelling to be heard over each other. Limiting the list to friends that live close by makes it more convenient and safe, as driving on Super Bowl Sunday can be dangerous. If you or your guests can arrange to carpool they save gas and can arrange to have a designated driver to make sure they get home safe. This also reduces the strain on the Apartment at Wildewood’s community parking. Planning and preparing for a party can be time consuming and expensive, especially when it comes to preparing food for all of your guests. This can be especially true with the limited preparation space in an apartment kitchen. 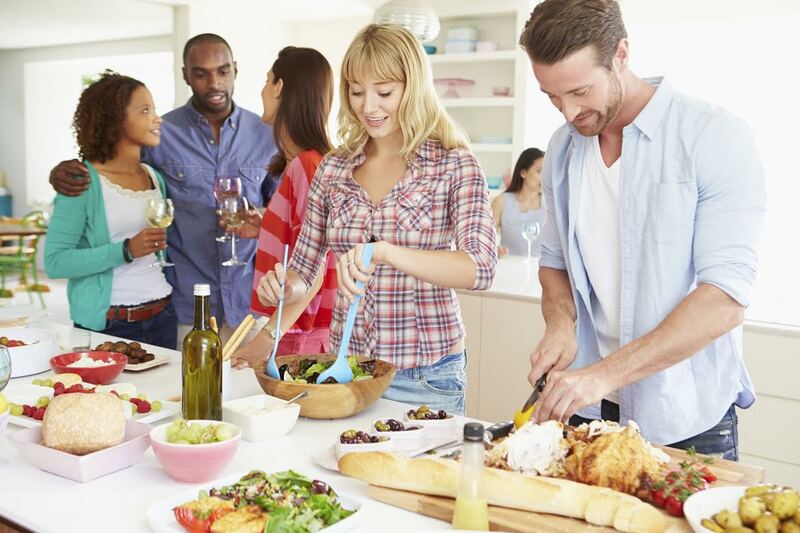 By making the party a potluck, where every guest brings a dish, you reduce the strain on your apartment kitchen, and your wallet. But remember to you coordinate your dishes with your guests, otherwise everyone might end up bringing a five layer dip. This entry was posted on Wednesday, January 21st, 2015	at 5:47 pm	. Both comments and pings are currently closed.